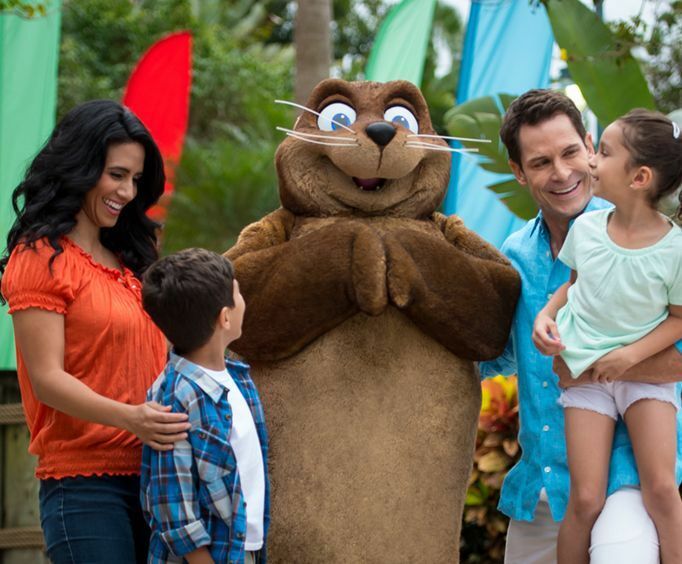 Come be a child again with a thrilling vacation to SeaWorld Orlando that includes admission to SeaWorld and two nights' lodging with the SeaWorld Orlando Vacation Package! 2 Nights' Lodging in your choice of over 117 hotels. When you enter SeaWorld Orlando, it's like entering the marine world. You will love exploring the rides, live shows, and other attractions that feature the underwater world. Rides like the Journey to Atlantis water coaster and the Wild Arctic simulated helicopter activity will get your heart pounding while live shows like Shamu Rocks! and Pets Ahoy! will have you in awe of the talents of marine and land animals. The whole park is filled with thrills and adventure for an entire day of family friendly fun! The two nights' lodging makes the whole experience more enjoyable as you can go back to quality accommodations at the end of the night. With everything from cozy rooms to spacious suites, everyone will have great accommodations for this vacation.